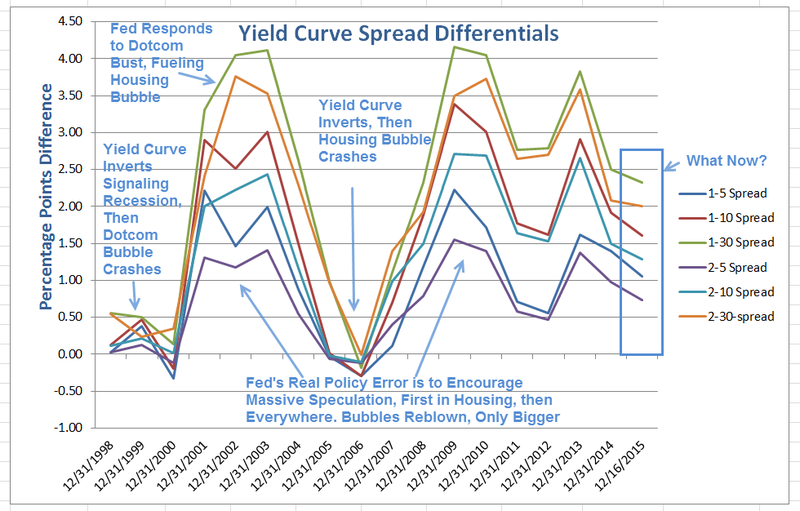 Mish's Global Economic Trend Analysis: Yield Curve and Spreads: Fed's Real Policy Error in Pictures; What's Next? 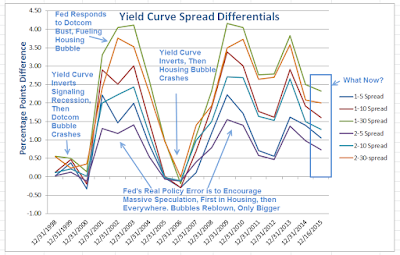 Yield Curve and Spreads: Fed's Real Policy Error in Pictures; What's Next? Are four more hikes coming in 2016? I doubt that, but see Saxo Bank's Real Forecast for 2016; Mish Comments and Projections for a differing opinion. Meanwhile, watch that yield curve carefully. 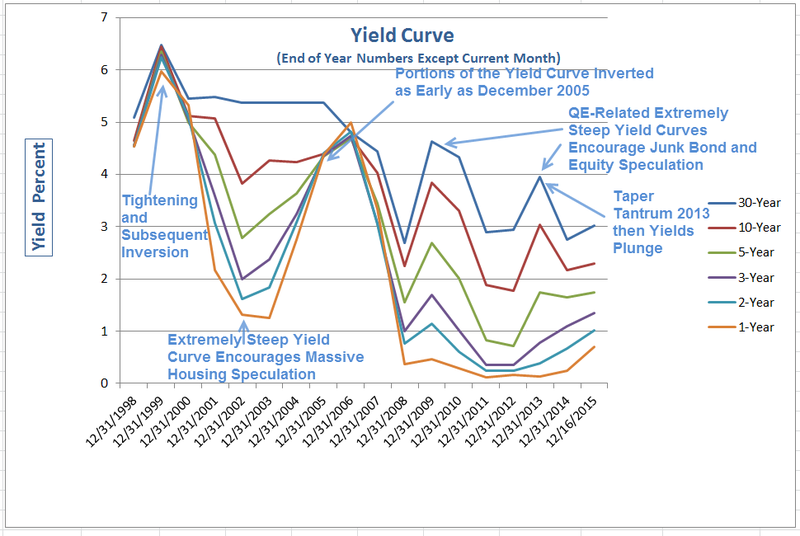 If the Fed hikes and the curve inverts, immediately kiss the recovery goodbye. If the Fed does not get in its stated hikes, it will likely be because the Fed is worried about a recession that is long overdue and already baked in the cake. The tightening of the yield curve so early in the lead-up and initial stage of Fed rate hikes is both unprecedented and recessionary-looking. It’s highly likely that tightening reflects bond market concerns about a slowing economy and various economic bubbles that are about to pop. 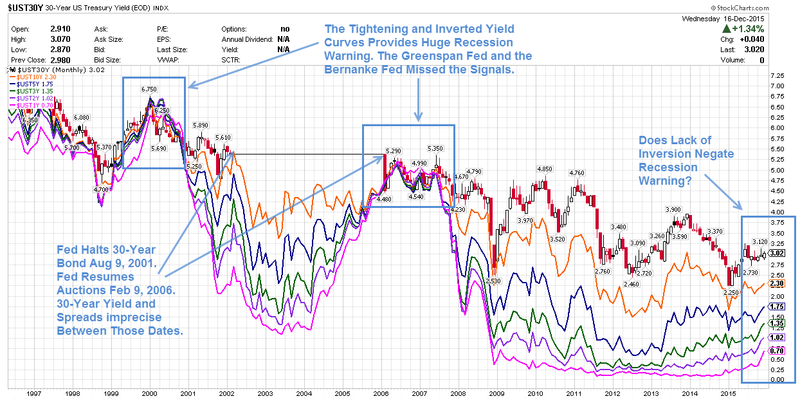 If the economy was strengthening as widely believed, the yield curve ought to be widening, not collapsing. Greenspan's first hike in four years was on 2004-06-30. 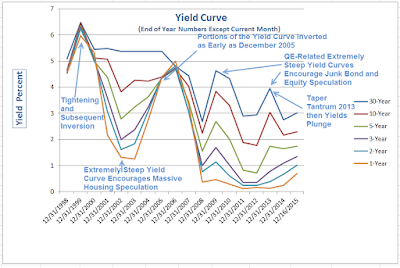 Check out the yield curve and differentials ahead of and right after that hike. Compare to today. 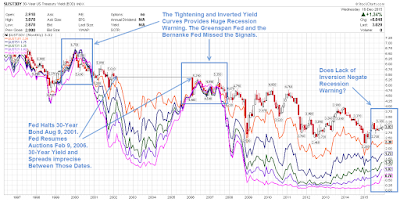 Those who believe the yield curve must invert before a recession hits, need think about those two important points in addition to taking a look at recession in Japan.